An intense Milk Chocolate - a perfect accompaniment to your coffee! 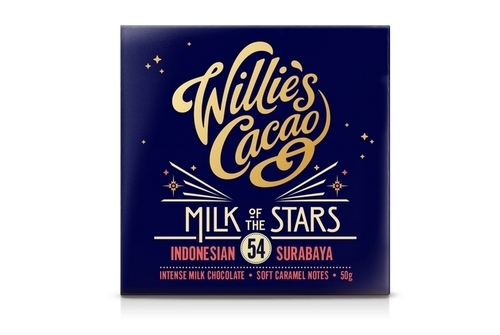 An intensely beautiful milk chocolate. Close your eyes, and as the chocolate melts taste the deep caramel notes characteristic of this remarkable bean from Surabaya in Java. I make all my chocolate ‘bean to bar’ from the world’s great single estate cacaos, each with their own exuberant flavours and personalities. Here you have simply cacao, raw cane sugar, natural cocoa butter and milk.